You can only control 1 "Amazoness Tiger". 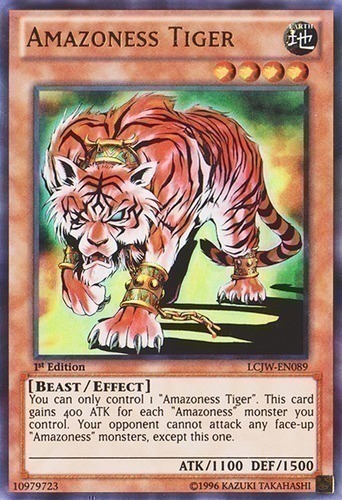 This card gains 400 ATK for each "Amazoness" monster you control. Your opponent cannot attack any face-up "Amazoness" monsters, except this one.